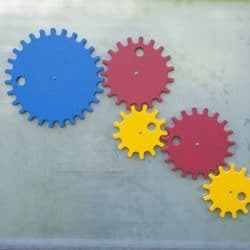 The double-sided Magnetic Board comes with 5 Magnetic Gears (1 large gear, 2 medium gears, and 2 small gears). Children can place the gears together, spin one gear, and watch how all the others will spin too. Additional gears are available for purchase in the Magnetic Gear Package (5 additional gears per package). 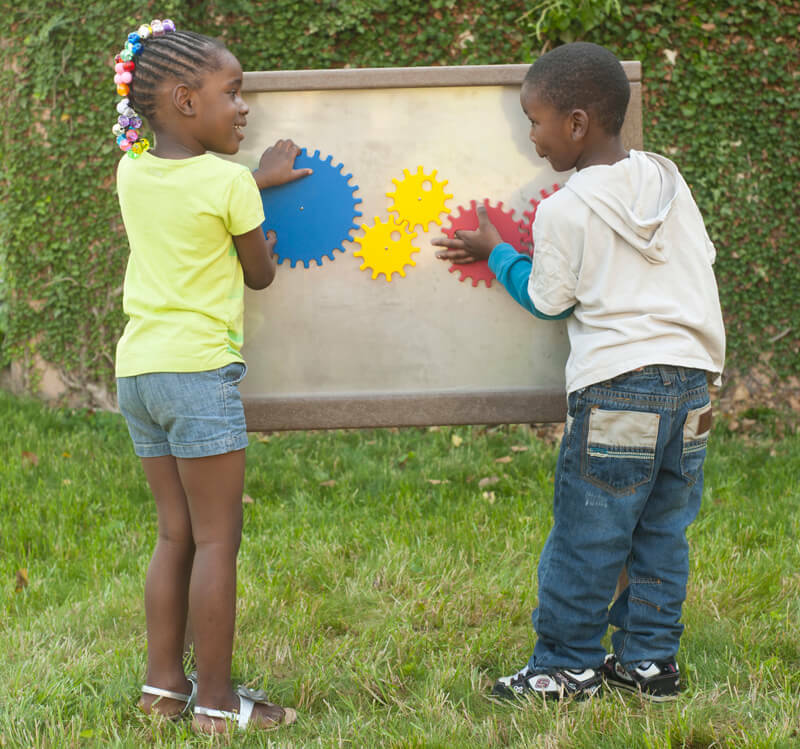 This outdoor play equipment is made of stainless steel, so not only do our Magnetic Gears attach to the Magnetic Board, any manipulative with a magnet can be used. Teachers and staff can attach magnets to many different manipulatives – craft sticks, bean bags, felt shapes, or plastic letters, to name a few – for children to explore with. Magnets can also be added to chutes and tubes that children can arrange and use to channel balls, water, or gravel. A Large Magnetic Board is also available. 5 Magnetic Gears are included.